Unit #1 is a 1 bedroom beachfront condo on the lower floor. 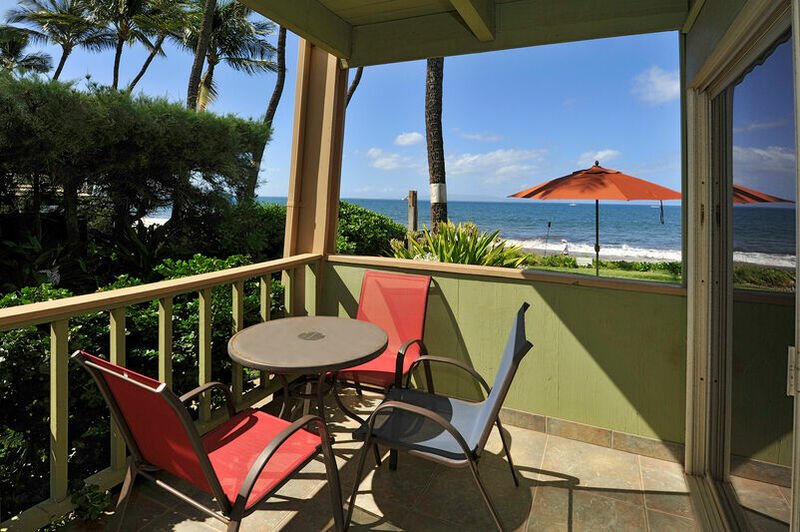 Enjoy hearing the sounds of the ocean from this condo. The condo has split system quiet air-conditioners in the bedroom and living room. 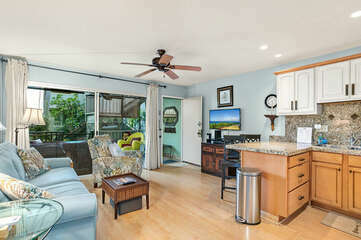 A King Size Bed in the bedroom, a remodeled bathroom and a well equipped kitchen, This condo will sleep 2 comfortably. There is a sleeper sofa in the living room. Parking and Wi-Fi are included the resort fees. 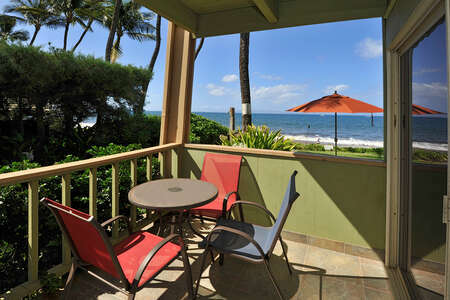 Beachfront Condo #1 is part of the On-Site Rental. The office is open 10-4 Monday - Friday. 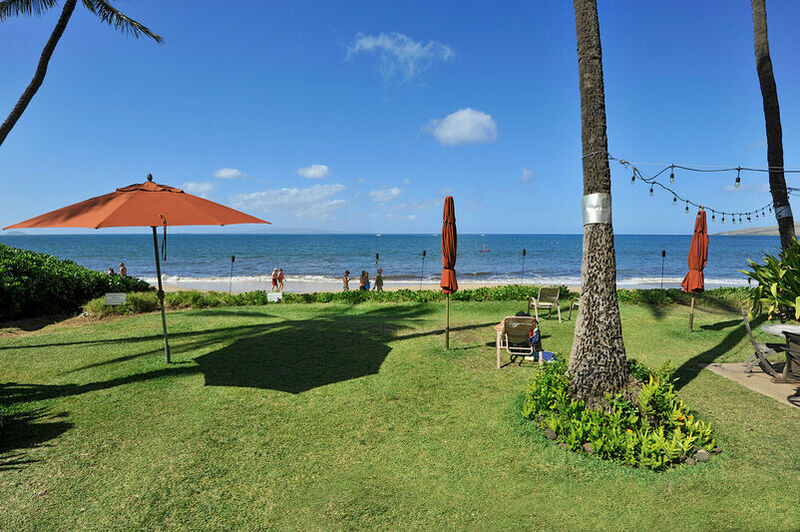 The Resort Manager lives on-site at Kihei Kai. We have a 24 hour phone number for your convenience posted on the bulletin board outside of the office.